No Bad Days at Thunderbird Hunting Club, consistently provides the most epic waterfowling and wingshooting opportunities on the Texas Prairie!!! THC for life!! Reputation for quality properties under lease. Relations with landowners is good; club management has been successful in maintaining long term agreements which enhances ability to maintain quality habitat. Properties managed on par with the top end clubs with respect to habitat. The club has a record of consistently good habitat regardless of weather conditions. Pond rotation strategy best I’ve seen. Management communicates well and accepts feedback with an open mind. Members expected to contribute time and effort to maintain and improve the club. We are a “do it yourself” club. Members are avid waterfowlers and outdoorsmen. Our blind partners are also our friends. We have many long-term members and have opportunities of watching their kids grow up. We are not a “commercial club” We do have corporate members, but they are not given preference in blind selection. I know I could pay more but don’t believe I could the same value anywhere on the Texas Coast. The lodge strikes the right balance between function and operating cost. I also like the ability to use it year round. Where else can you blast and cast without getting in a boat? I have never seen the number of birds we saw this morning in my whole entire life. There were pintails and geese by the thousands! [THC] are group of people who enjoy the outdoor hunting lifestyle. A Club that is well organized yet allows all the members to participate. Best managed and organized hunting club that I have had the pleasure of being a member. Extremely fair in the way hunting spots are picked for each group. Club properties are managed in a manner that gives each hunting group optimum chance to hunt ducks. Texas Gulf Coast waterfowl clubs all have their own culture, and it is important to find the one that best suits your needs. Thunderbird (THC), with acreage extending from Tres Palacios Bay to near Pierce Ranch, is a duck hunter's club - meaning it’s your hunt, not a guide's hunt, in our carefully crafted habitat. Ours is a culture for the outdoorsman or woman who prefers the quiet of the morning as their party makes their way to the blind, and prefers to avoid the herding and long lines at a gate - the very thing we are usually trying to get away from! Its an equitable club; our members draw for blinds, there is no favoritism, and because we do not feature "day hunts," our regular members do not follow in the wake of an over-hunted pond or field. Our dollars are spent on habitat, and less on ambience - this is one of the reasons our 100% of our members shot limits of ducks on 3 out of every 4 trips for the past 25 years. The management team at Thunderbird Hunting Club has a passion for the complete outdoor experience. They take that passion, combine it with decades of waterfowl experience, and year round work to provide some of the best hunting opportunities on the Gulf Coast. There is an understanding that if the proper ingredients are combined on the front end, great waterfowl hunts become the rule, not an exception. They have put a system in place that provides the best possible chance for all members to participate in both the work, and rewards of the outdoors. The system, experience, and the passion for the overall waterfowl experience, makes hunting at Thunderbird one of the best values on the Gulf Coast. That’s why I will continue to come back. Good times and glad he got to enjoy yet another great hunt at THC. Thunderbird is a very special club. It’s not stuffy, overcrowded or impersonal. THC is managed and cared for by a unique group of members who each have a burning passion for hunting and respectful conservation of the resource. Thunderbird epitomizes what the pursuit of hunting really is through an appreciation of the cold early mornings, good dog work, and camaraderie in the blind. Our club is what true Texas waterfowling is, and what it should be. We have enjoyed every second of being members and intend to do so for many years to come. I joined THC after having the opportunity to hunt on several occasions with Steve Brien. What I was most impressed with was the quality of the hunting, the caliber of the people, and the professionalism under which the club is managed. What keeps me a member (and my son is now a full member as well) is that the club is dedicated to a first class set of properties that have great habitat to attract birds and is sensitive to the financial requirements of its members. Having the managers who will work with members to show them where the birds are and how to hunt is also a great benefit. THC is a community of sportsmen committed to outstanding waterfowl hunting, hard work, and great fun. Everyone pulls their weight to get the work done, as well as invest in the sport by welcoming youngsters and those new to hunting to the great outdoors and the fellowship of those who love nature and a full strap at the end of the morning. 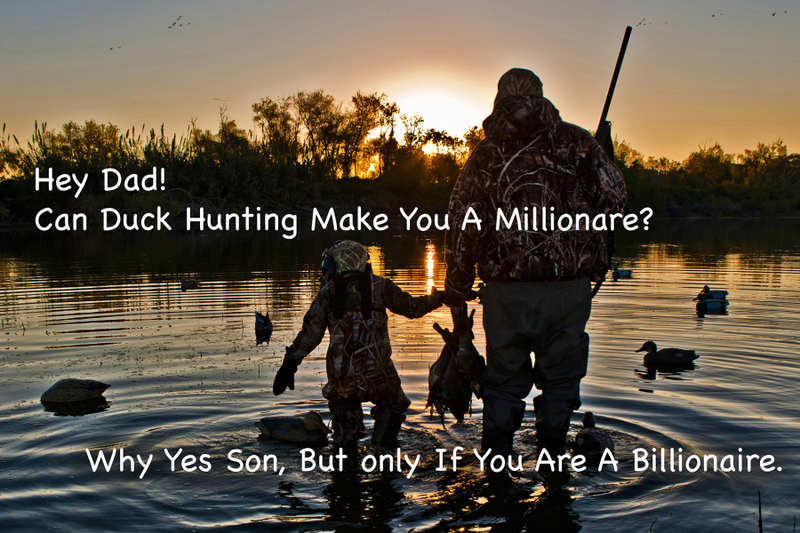 THC is an amazing place for boys to grow into men while experiencing the best that waterfowl hunting has to offer. “Just for the record.The winged biomass we ogled at the Bluecreek Property today.Trumped any flock I’ve ogled in the Southern Hemisphere on my three pilgrimages to the Land of Argentina. Absolute epitome of hard work, like-mindness, habitat acquisition, and management. All involved should be PROUD. Epic example of conservation and habitat development. Leaving things better for the ducks and our kids/grandkids. Hats off to all you boys for whatchall do!!! I’m still getting goosebumps from the amount of duck flesh on the wing!! Errrrrrrah!! The primary reason is because of the quality of the men who are members. I have made so many close friends with the men who are there. The members are, without exception, passionate about waterfowl hunting. Its as though hunting ducks and geese is in their blood. It really is who they are as people. Another reason is that we are a self contained hunting club and do our own work. We build and camo our blinds, repair and maintain thousands of decoys and work together as a team to have consistently the best waterfowl hunting along the Texas Gulf Coast. If a hunter wants to be coddled and taken care of, and led to the blind by a guide, then Thunderbird is not for them. Thunderbird hunters are outdoorsmen and adventurers, and want to be involved in every aspect of the sport of waterfowl hunting. We know the hunting will be great. We want the total experience for our members to be beyond compare. At Thunderbird Hunting club, great waterfowl hunting is only a portion of what this club has to offer. Yes, at Thunderbird hunting club you experience some of the best waterfowl hunting along the Texas gulf coast, but you also hunting with and next to a great group of people dedicated to hunting the right way. The proprietors of Thunderbird along with the membership are committed to providing a good safe hunting experience for ALL of the members and structures the club accordingly. Being a member on Thunderbird is being like part of a community or family. Everyone willing to help each other when needed. The membership of Thunderbird helps keep the club strong, however the administration and management of the club is like no other. From detailed maps of each property to detailed weekly reports during the season to weekly scouting reports of each property, Thunderbird keeps all members equipped with all the tools to have a great outdoor experience. Whether I am teaching my children how to hunt, entertaining customers or hunting with buddies, Thunderbird hunting provides me with yearly memories that will last forever. I have been a member at THC for many years. I return each year because the THC management continuously strive to improve on what has already proved to be a quality waterfowl hunting operation. The members are great, the lodge provides a place to meet and spend the night before a hunt and after the hunt is over to compare results with others, which is a very important requirement to me. The properties are high quality habitat to hunt and the management is always on the look out for more properties and working on how to improve the ones we have. I have hunted many good quality waterfowl operations in my day, and THC ranks with the best. My father always treated hunting and fishing as not just pass times, but as important skills that one should have for life. As a result, most of my time with my father has been in the field or on the water. Since 1986, that time has been spent with the guys at Thunderbird. That has now turned into me spending time with my son in the field at Thunderbird. What I like most about Thunderbird is the singular focus on waterfowling so that one's time is organized around an activity rather than drinking scotch on the porch, etc. What makes THC unique is the environment. Best waterfowl habitat in Texas combined with most supportive and welcoming membership enabled me as a new member to learn and understand how to work together with others for spectacular limit hunts! Hey Todd, Logan Seelke here, I wanted to drop you a line on my first experience at the club this weekend. That so exceeded ever expectation I thought I might have had, from walked into the lodge it was like 'the lodge gave me a hug,' it was phenomenal walking in there and seeing all those pictures and stuff like that. Thought that was one of the best things I have seen in a long time! Member Craig Jones, who I met at the lodge, great person. His dog 'Pepper' I look forward to being able to hunt over with Craig, any, and ever chance I get. Manager Mr. Sawyer, we do share some of the same friends in the world. He is a shooter, and knows some shooters as well, really enjoyed his company. To make a long story short, I appreciate it, its great, it is everything I thought it would be and more. Hopefully next time I come down I will spend more time exploring everything. This weekend I just wanted to get my feet wet and see what everything was about. Brother, I was enamored; I don't really have any words to say about how excited I am. I will leave it at that. I look forward to seeing and meeting you. Once again thank you! I have been a part of Thunderbird Hunting Club for twenty four years now. My dad, Marshall Hayes, found out about the club and was all for joining. Little did he know, joining that first year would start a tradition in our family that we would carry on for decades to come. When my daughter, Jenna, became of age, we brought her down to hunt with us. I loved to have my dad and daughter next to me in the duck blinds. We had so many great times and memories that will not be forgotten. It has always been a place run by fairness and equality. I never worried about bringing Jenna because I knew that she would learn those values. The quality of the hunts are something that is hard to find. The management has done such a good job with finding the properties and building relationships with the owners so that we can continue to have our consistent limits. We are privileged to have been accepted to join the Thunderbird family and look forward to keeping all the great traditions. The Thunderbird Hunting Club has been a very important part of our family. Being the third generation Hayes to be a member at THC, I feel like I can call it home. I enjoy being a member for so many reasons, it is hard to combine it into a few short thoughts. The sport of hunting itself is of course one reason I return. Thunderbird had many great properties and blinds pre-set on each of the ponds for a convenient hunt. For me, though, I love all the members at our club. There is nothing better in life than to sit with a crew of other hunters on a Friday night and share old stories and memories, and to create new ones. I might only be eighteen, but I know that I have created relationships though Thunderbird that I will have for a life time. It has also given me the chance to grow so close with my dad, Glenn Hayes, and spend as much time as I could with my Paw Paw, Mashall Hayes. They are memories I will cherish forever. Thank you so much for giving everyone a place that we can do what we love and have such a great time doing it. We will be back for many seasons to come.